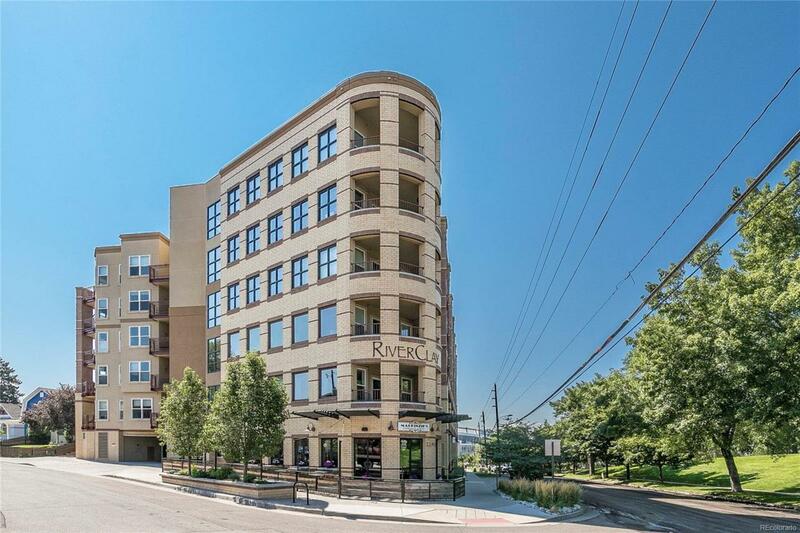 This lovely condo in the state of the art RiverClay bldg has lots to boast about! Secure access, pet friendly with bike station/dog washing station in garage, fitness room & strg locker for ea unit. A Silver Leed certified blding plus solar panels for ea unit equals low utilities! Fiber optic throughout the entire bldg makes for super fast internet connections. Situated directly across from Jeff Park this unit features views of the parks greenery, Rocky Mtns and Broncos Stadium which are unique for a Denver condo! An xtra perk on this deck is that it has professionally installed, plush synthetic grass. Covered and secure, 1 pking space is surely a highlight. Wonderfully walkable, vibrant restaurant scene nearby ie: MacKinzies dwnstrs, Briar Common Brewery, Sartos, Sassafras, and Little Machine Brewery a short walk away. The unit itself features great natural light, spacious living areas, modern kitchen, hardwood floors and quality finishes with a stackable washer/dryer in the unit.